Olbia (Ольвія). (Map: Greek colonies on northern Black Sea coast.) 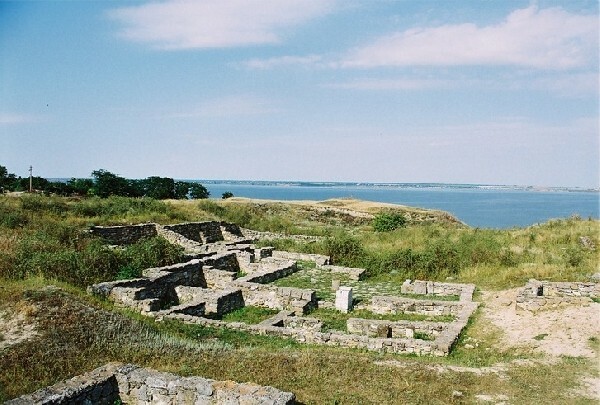 A major ancient Greek settlement (see Ancient states on the northern Black Sea coast) located on the Boh River Estuary near Parutyne, Ochakiv raion, Mykolaiv oblast. The site was discovered in the late 18th century and researched intermittently throughout the 19th century. 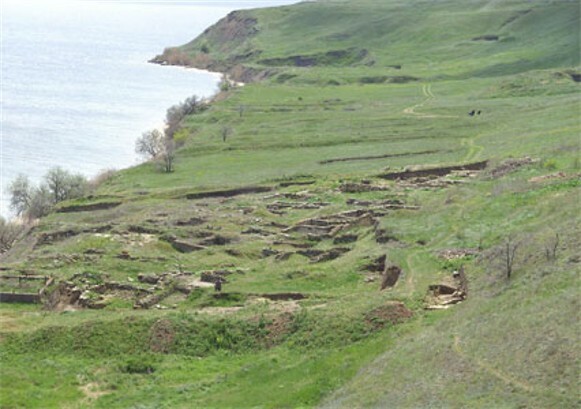 Extensive excavations beginning in the late 19th century were carried out under the direction of V. Latyshev, B. Farmakovsky, Lazar Slavin, and others. 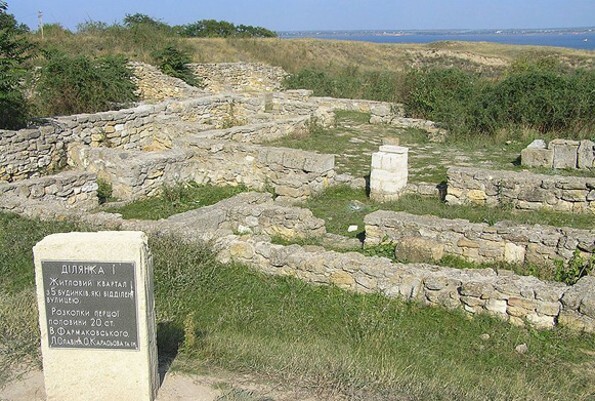 Since 1920 Olbia has been under official protection and it is presently a state historical site administered by the Institute of Archeology of the National Academy of Sciences of Ukraine. 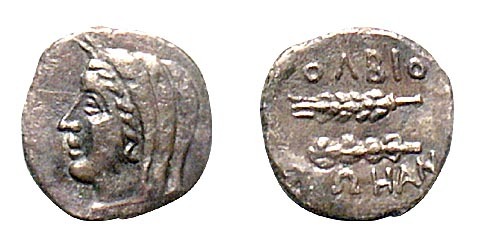 Founded in the early 6th century BC by Greek settlers from Miletus and other Ionian cities, Olbia soon became a prominent trading center on the northern Black Sea coast. Its inhabitants engaged in agriculture, animal husbandry, fishing, viticulture, various trades (metalworking, pottery, woodworking, stone cutting, weaving), and trade with the Greek metropolis. 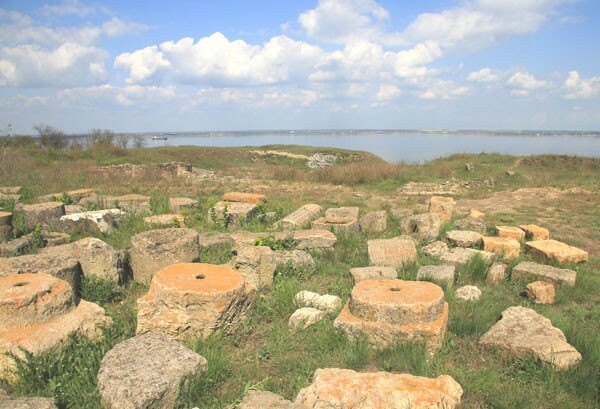 Olbia imported wine, olive oil, fine dishes, cloth, art objects, and glassware both for itself and for trade (together with local goods and services) with Scythians, Sarmatians, and other tribes on the Pontic steppe in exchange for grain, cattle, wool, fish, and slaves. 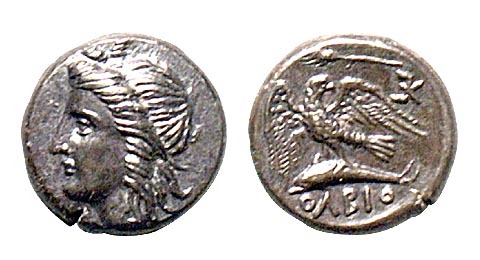 In order to facilitate trade, the city minted its own bronze, silver, and (occasionally) gold coins. 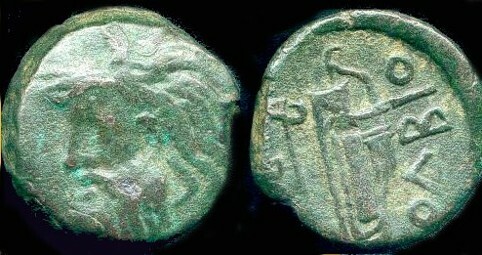 Olbia reached the height of its prosperity and importance in the 5th–3rd centuries BC as a city-state covering an area of approximately 50 ha. It was strong enough to withstand a major siege by one of Alexander the Great's armies in 331 BC. 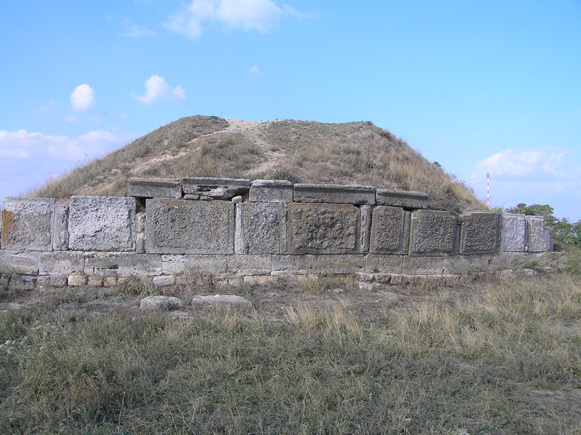 Subsequent attacks in the 2nd–1st centuries BC by hostile tribesmen weakened the city, and it was forced to accept the suzerainty of Scythian chieftains and then of Mithridates VI Eupator, ruler of the Pontic Kingdom. 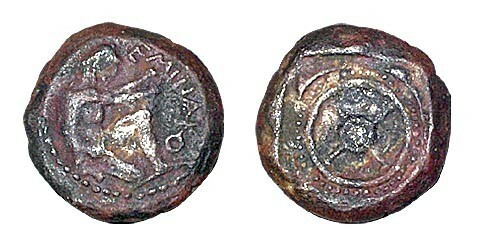 In the mid-1st century BC, the city was sacked thoroughly by Getae invaders. Olbia was rebuilt in the 1st century AD as a thriving trade center, but it never regained its former size or prosperity. 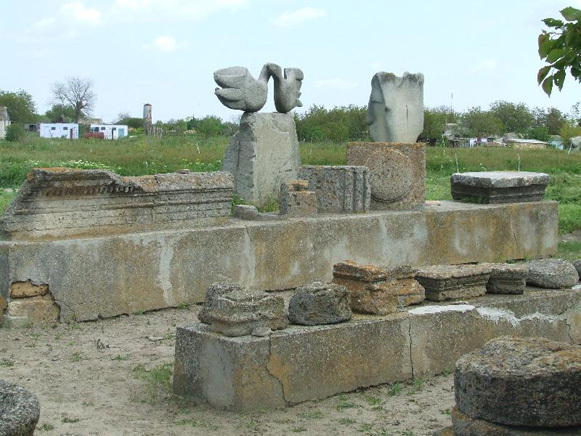 Its population now included a large and influential Scythian element. 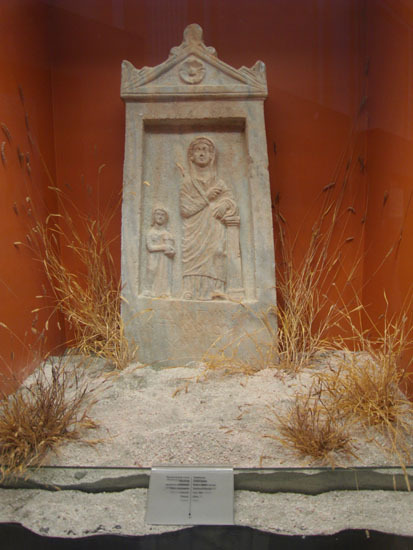 Olbia fell under Roman influence (see Romans), and in the mid-2nd–mid-3rd century a Roman garrison was posted there. 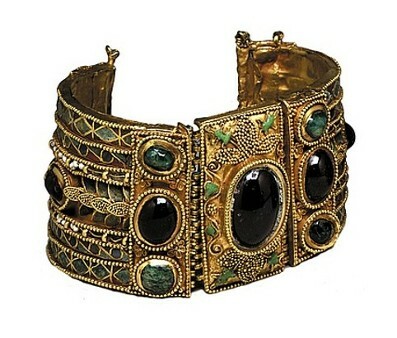 With the garrison's departure the city fell prey to Goths and other invaders and finally collapsed in the 4th century. 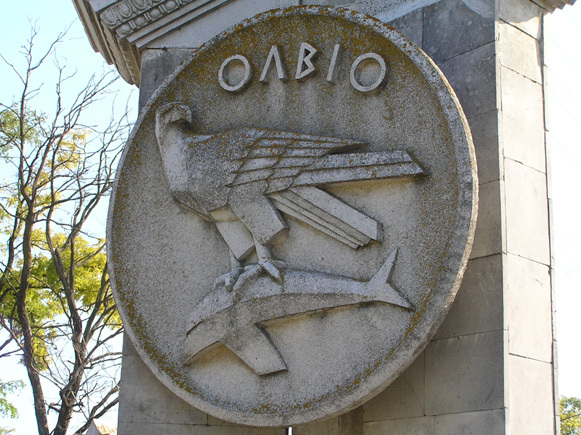 The remains of Olbia reflect a prosperous and well-planned city. It was built in a triangular shape along a north–south axis. The lower town, the area initially settled by the Greek colonists, was located along the estuary and was well suited for port facilities. With Olbia's rapid growth, the settlement expanded to an upper town on the adjacent bluffs. The main square, or agora, was situated precisely in the middle of the city, with the principal civic structures, a gymnasium, a theater, a hippodrome, and a temple complex nearby. The city is laid out on an orthogonal grid typical of Greek (Miletian) colonial cities, with a main thoroughfare running the length of the upper town. Statues of gods, heroes, and prominent civic figures lined the main streets. Streets and a stairway connected the upper and lower towns. Aqueducts supplied the city with water, though cisterns finished with waterproof plaster were also numerous. The apogee of building technique came in the 5th to 4th century BC, with carefully laid masonry walls, often rusticated for effect. Stone basements and ground stories topped with one story (or sometimes two) in mud brick were common throughout all periods. Public buildings and wealthy homes were further enhanced with columns and capitals of the Ionic and Doric orders, and other architectural ornaments which developed a specific regional character. Olbia was fortified by thick masonry walls with towers. Outside the walls stretched extensive (500 ha) burial grounds. Olbia's rural hinterland was thickly studded with hundreds of estates and settlements which remained unfortified until Roman times. 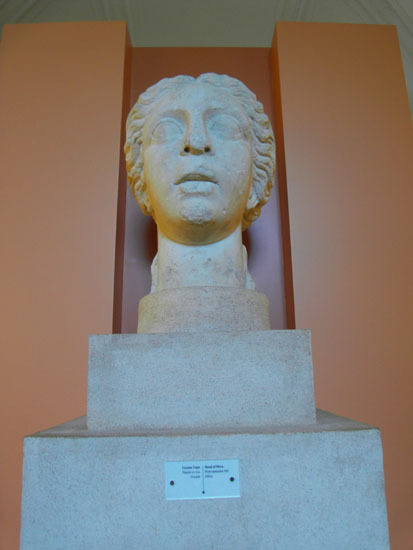 Artifacts from Olbia can be found in Saint Petersburg's Hermitage, Moscow's Museum of History, Kyiv's National Museum of the History of Ukraine, the Odesa Archeological Museum, the Mykolaiv Regional Studies Museum, the Kherson Regional Studies Museum, and a number of Western European and North American museums.